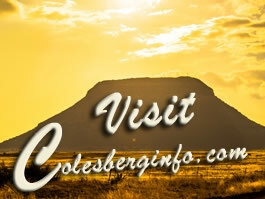 Colesberg Accommodation Oppi hoek Guesthouse. In the quiet side of Colesberg town away from the noise of the main roads you will find Oppi Hoek Guesthouse. All the rooms has safe parking. For those who do not have the desire to kook there are restaurants and takeaways available nearby. Family room with one double and two single beds. Bathroom-shower, air conditioning, fridge, microwave and cutlery coffee and tea facilities with TV DSTV. Only one double bed with bathroom-shower air conditioning, fridge, microwave and cutlery, coffee and tea facilities with TV DSTV. Family room one double and two single beds, bath and shower, kitchen, fridge microwave and cutlery, air conditioning with TV DSTV. Room with two single beds bath and shower, kitchen, fridge, microwave and cutlery and TV DSTV. Every room one double bed, bath and shower, air conditioning, kitchens, fridge microwave, coffee and tea facilities cutlery and TV DSTV.